Gunnison County, population 14,000 (2000), is located in central Colorado, 200 miles southwest of Denver. Almost 80 percent of the county’s land area is under federal management including the National Forest Service, the Bureau of Land Management and the Curecanti National Recreation Area. Gunnison County is also home to Crested Butte, a well-preserved 1880s mining town that is registered as a National Historic District and adjacent to the world-class Crested Butte Ski Resort. The rest of Gunnison County is primarily ranch land. In 1997, the voters of Gunnison County approved a ballot measure creating a Land Preservation Fund supported by sales tax revenues. By matching this money with state open space funding and landowner donations, Gunnison County has skillfully preserved a remarkable amount of ranchland using relative few local tax dollars. Gunnison County uses an innovative form of TDR to preserve ranchland. In 2007, Gunnison County began studying TDR as a way of supplementing the Land Preservation Program. Gunnison County has a vast land area, encompassing 3,239 square miles, with significantly different land values for potential sending and receiving areas. A traditional TDR program would likely raise concerns about the fairness of uniform TDR allocation ratios and TDR requirements for bonus development. Mike Pelletier, Gunnison County’s lead staffer for this project, had already written a Density Transfer Fee ordinance that addressed some of these concerns when he was the Planning Director of Berthoud, Colorado. Together with consultants Rick Pruetz and Christopher Duerksen, Pelletier began working on an approach in which the TDR requirements and compensation would be based on the land value changes of specific sending and receiving sites, a method advocated in a 2002 PAS Memo article written by Rick Pruetz, Tom Maynard and Chris Duerksen entitled “TDR-Less TDR”. 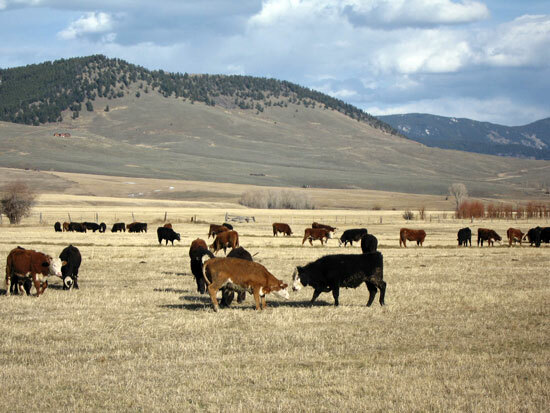 In November 2009, Gunnison County adopted a Residential Density Transfer (RDT) program in which developers can choose to have less open space within their subdivisions when they contribute to the preservation of ranchland that is outside their subdivisions. The ordinance contains many innovations including an off-site preservation requirement based on the land value increase resulting from approval of the subdivision and compliance using cash payable upon the sale of individual lots. These innovations address many of the concerns that often scuttle the adoption of traditional TDR programs. In Gunnison County’s RDT program, a qualifying receiving site project can include any residential subdivision that creates five or more residential lots or residences. Developers who choose to participate can reduce the on-site open space requirement from 30 to 15 percent of the total project area. The Gunnison County Assessor uses mass appraisal techniques to estimate the land value of the project site before and after approval of the proposed subdivision. The required RDT payment is ten percent of this increase in land value. The calculation excludes mobile homes and lots used exclusively for essential housing, Gunnison County’s term for workforce housing. In a mixed use receiving site project, this calculation is performed only for the residential portion of the development. The receiving site developer pledges compliance with the RDT payment requirement by an agreement with the County executed prior to the recording of the final plat. However, the developer has the option of paying some or all of the required RDT payment upon final plat recordation. All payments made prior to final plat recordation qualify for a ten-percent early payment discount. Developers can also defer compliance until individual lots are sold. The County must use the revenues from RDT payments exclusively for purchasing land and conservation easements that permanently preserve parcels with significance as open space, agriculture, habitat, wetlands or watershed protection. The County Board of Commissioners decides where this money will be spent. As with the ongoing Land Preservation Program, it is anticipated that local private non-profit land trusts will submit land and easement acquisition proposals for Board approval accompanied by appraisals. Some property owners may donate a portion of the appraised value of their land or easements for tax benefits. Gunnison County is likely to also leverage RDT payment revenue by matching it with other funding sources such as Great Outdoors Colorado, or GOCO, a state lottery dedicated partly to open space preservation. Gunnison County’s RDT program removes many of the roadblocks that often derail traditional TDR programs. RDT does not designate sending areas or predetermine how many TDRs a sending area owner will get for participating; these tasks take place after program adoption through negotiation with individual landowners based on an appraisal of the specific parcel or easement. Likewise, receiving area developers all pay the same portion of the estimated land value increase resulting from subdivision approval; this creates a level playing field regardless of the nature of the receiving site project being proposed. The RDT program also allows much of the RDT payment to be delayed until the developer has money in hand from the sale of lots. Finally, RDT compliance is in the form of a cash payment, which relieves staff of having to create, track and retire actual TDRs while allowing the County to target the best acquisitions and gain maximum leverage from RDT revenues.